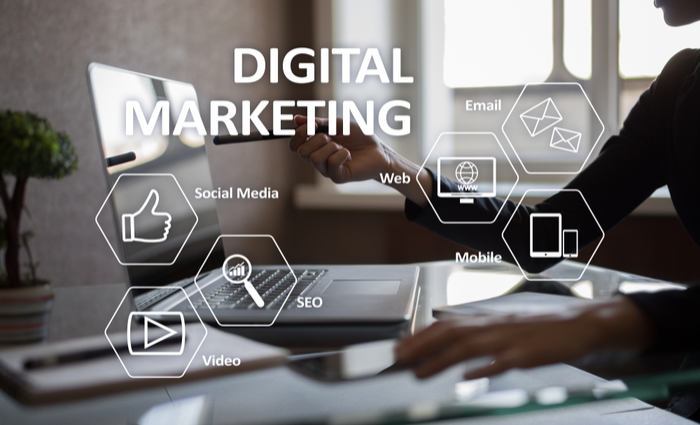 It feels like there are more and more options in digital marketing, the trends seem to arise out of nowhere, and it can be challenging to have everything necessary, so your online presence is substantial and visible for your clients. Here we intend to outline the pillars that can give you success in the evolving arena of digital marketing. One of the primary objectives is making sure that whatever your content is, whether it be a company website, video, posts on Instagram, blogs, or any other tool you use to attract clients, that it be readily available to those who are eager to find it. It means that you need to have a good ranking on google searches. There are about 200 different factors that come into play for your content to be considered “relevant’ and “high-quality,” but mainly those two words refer to uniqueness and usefulness. The web uses algorithms to determine whether the content you provide is truly original and of interest to the person looking at it. If it is relevant and useful, then you will rank highly on search engine results. Paid search marketing places you at the top of the search results list during a search. When a query enters into a search engine, your paid advertisement will appear as a result, and this increases your visibility making your product, service or company noticeable to the searcher. One clear advantage to this type of advertising is that you are interacting with the potential buyer at a time when they are looking to buy, as they are actively searching for specific information about a product or service. It means that they will be not likely put off by an ad that is related to what they are searching for. There aren’t always excellent results exclusively from SEM, because it can be tricky to get the keywords right, but it is part of the gamut that can be implemented as part of a good marketing plan. Content marketing aims at a clearly defined audience, and it refers to any marketing that has the objective of adding value to its target. In other words, content marketing has the consumer in mind from the very start of the creative process. It is very intentional marketing for specific objectives. There are many ways you can improve your content marketing. Here are a couple of ways to keep in mind. Find and fill the gaps in your competitors content. It is one way that we can win over the competition because we are giving the consumer what they want and aren’t getting somewhere else. It can mean writing more detailed blog posts, providing more in-depth videos or just bringing something to the table that others are not. There is always a rush of interest surrounding news or trends that come into the spotlight. Anyone can take advantage of this by creating content about, or linked to the subject at hand which is getting attention. Again, you want to steer away from being a repetition of what someone else said, but instead provide a uniquely valuable perspective that the reader will enjoy. Social media marketing leverages the connections within the network of people or company’s profile. Sharing content on social media is very simple, highly visible and very popular today. Staying in someone’s feed with relevant, valuable information that will generate likes and shares is what SMM is all about. It can be hard to do for a small independently owned business, so it is an excellent option to hire a company to manage your social media accounts. They will work on a schedule that will allow you to have continued visibility on all your social platforms. If you are unable to cover the cost of hiring a company to do this for you, it is best to focus on one platform and grow your followers and likes from there. Slow and steady wins the race, especially when first starting out. This tactic helps you to know what action the visitor took after coming into contact with your ad. Did they buy, leave the site, sign up for a mailing list, etc.? With this information you can track the effectiveness of your ads which will help you to adjust your marketing strategies according to what works. What this helps you to do is setup keywords that will be identified as irrelevant to the clients you are interested in. This way you will not have people on your site who got there when searching for similar words that are not relevant to your product. This graphic can be helpful to understand Affiliate Marketing. It describes how affiliated websites will contain reviews on a specific product and how this spikes the interest of the visitor, who will then click on the affiliate link to see the product on the advertiser’s site. Cookies are used to track referrals that visit the advertiser’s website whose connection has been supplied by the affiliate network. The buyer will add purchase directly from the advertiser’s site, but the affiliate company will make a commission. When talking about email marketing, one thing to remember is that no one will want to get spam in their inbox every day. Instead, an excellent way to keep people in tune with you is being particular about what they will receive. Some sites will offer a free brochure or a PDF about a specific topic of interest. Also letting the client know how many emails they will receive is a must. Once or twice a week is usually preferred and should always contain relevant content. A/B testing and rewarding your most loyal customers are things you can do to make the most use of your email marketing. Having a tremendous welcome email and branding them with the company logo will help your company look professional. It helps to create an identity with the clients. Add a personal touch with a digital version of your signature to make the email even more unique. With the maturity of marketing into Digital, Marketing Automation was born. New possibilities arose in the area of scaling the production, analytics, effectiveness, and overall presence of digital marketing initiatives. This newest pillar of digital marketing can be considered more than a pillar among pillars but can be considered a base that supports all of the other aforementioned pillars. Utilizing AI (Artificial Intelligence), search engine optimization and search engine marketing can be optimized by automatically analyzing and responding in real time to keyword usage in both content and advertising. Automating content distribution, re-distribution, and curation can assist organizations in quickly scaling their content production and effectiveness as well as presence on social media. Perhaps the first of the initial pillars to be effected was email marketing. Today, automation of email has matured beyond managing email lists into possibilities of fully customizing customer email interactions, sequences, and even the content within the email. Automation is perhaps the most crucial pillar of digital marketing. Integration of these eight pillars is our best chance of creating an effective strategy for digital marketing. Want to learn more? Talk to a professional at Content Monsta!